I spoke with a bar owner originally from Damascus once. We of course got to talking about it. He mentioned that his mother lived in a 600 year old house, which is kind of neat. What really stuck with me though is what he said he missed most about his homeland - "the smell of jasmine trees in the summer". 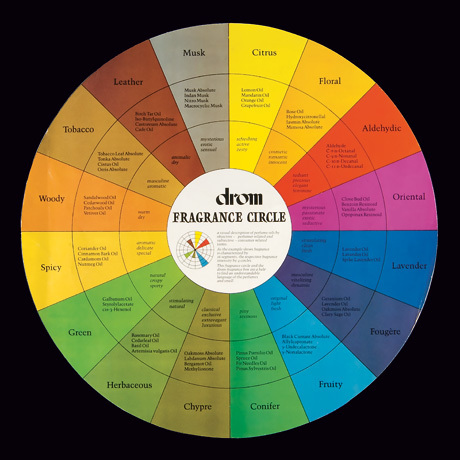 It would be neat to have a scent-based travel guide to the world. This sort of exists for a few areas, much to my surprise - you can Smell York, if you dare. Can you recall distinct scents associated with the areas you've traveled to? Describe them as well as you can. I've never traveled so my opinion doesn't matter. I can only tell you to avoid towns with paper mills. The best way I can describe the meta of this is like so: if my memories for travel were a database, then scents encountered would be a key column with a clustered index. Unfortunately, I have the hardest time trying to describe scents. Which is odd, considering how rich a sense it can be and how profoundly it can factor into my awareness/memory of a place or event. Anyhow, I still keenly recall the unique scents I encountered whilst bouncing around the world a while back. Germany, France, Japan, various domestic/US places on both coasts, etc. I guess my problem is that I just lack the vocabulary and/or the practice in trying to describe these scents. What I find is that I tend to describe a scent in comparison to another place's or event's scent. Example, "Oh, this reminds me this time at that place, with a little of this other time and this other place...".... rather than using any descriptive words for the smells themselves (for, again, I lack them and/or practice with them)? Overall, scent is very much a (strong albeit often subconscious, salient only to memory/recall) factor in my sense of "place", qua travel. There was this bar in Berlin, then the other, then the other. The airport in the UK. The hotel in Paris. The monorail at Disney World in the fall. And so on. That's how I key and describe smell memories, by where and/or under what event I encountered them. Underestimated how hard it would be. Connecticut -- In the summer the forest is a riot of fragrances. The one that sticks out the most in my memory is the smell of pine trees mixed with lilac. The air in summer is humid and heavy there and I used to love going for walks in the hills following game trails through the woods. California -- I have strong scent memories of Berkeley. The rose garden near my house always smelled as beautiful as it looked. The gingko biloba trees on the Cal campus had a very intense and distinctive aroma. On the hill where I lived, there were juniper trees which had a wonderful fragrance that makes me recall walking home from work around sundown any time I encounter it. Florida -- The canals on the gulf coast have a smell of salt water and seaweed. The mangroves have a smell too and while it's not really something I would describe as intrinsically pleasant it's something I associate with long lazy days spent fishing and chatting with my dad. Good memories. I rarely travel so I don't have much to add to this thread, but I remember that when I went to Italy I found out what the scent of roses is like. In the garden of Villa Pisani, in Strà (VE), there is a huge wall covered in pink roses. It was mesmerising. It wasn't necessary to get close to the flowers to smell them, it was everywhere. Is that one of those places with the holes in the bathroom stalls? Oh no, that's a Chicago mangrove. In Florida they are a plant. It's sort of like a tree that's evolved the ability to hitch its britches up and grow with its roots in the water. I am only impressed if they can walk and talk, and share important life lessons gathered over centuries of observation in nature. Darkrooms. Those chemicals have a very distinctive smell... it's not bad. Kind of sharp and homey at the same time, somewhat like the way heaters smell at the beginning of winter. The weird thing was is that I smelled it again in the breakroom at work a few days ago. I don't know why. Maybe someone is an amateur hobbyist who spilled developing fluid on his clothes. I spent a lot of after school in high school in there. Creosote bushes of the Southwest... very oily/mustardy... after a rain, they smell the way horesradish tastes. Juniper bushes.... as already stated, a woodsy delight. I vaugely remember Mexico smelling floral. Smells have the distinction of probably being the hardest sensory perception to reproduce. Darkrooms. Those chemicals have a very distinctive smell... it's not bad. I like that smell... but I may like it just because it reminds me of being in a darkroom. That was always my favorite part of photography. Actually developing the photos in the darkroom. I've found that I'm not as into it with everything digital. In college I would go to the photo lab in the middle of the night so that I could use it when no one else was there. There was nothing like being alone in the darkroom. Plus then there was also no one there to lecture me about sticking my fingers in the chemicals instead of using tongs. I wish I could add something, but I can't think of any place smelling like anything in particular. Just slightly newer at the new place.